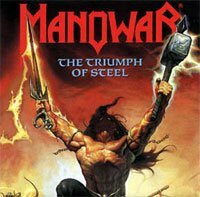 MANOWAR - THE TRIUMPH OF STEEL VINYL (2LP) | Online Shop | Wizard LTD. Album: "THE TRIUMPH OF STEEL VINYL (2LP)"
The Triumph of Steel was released in 1992 by Manowar. It is the only Manowar album to feature David Shankle and Rhino.